Jon Kozesky has served as the Executive Director of the Tallmadge Chamber since 2017. The Tallmadge Chamber position allows him to integrate business knowledge with a desire to serve others and the community. Prior to joining the Chamber, Jon worked on Capitol Hill in Washington, D.C., where he worked closely with the Small Business Administration and the Department of Commerce in drafting many pieces of small business legislation that we work with today. 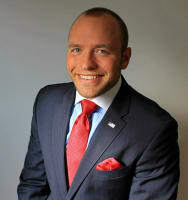 Kozesky has owned several small businesses, including Jon Thomas Consulting, a government affairs and grant writing consulting firm that he maintains today. 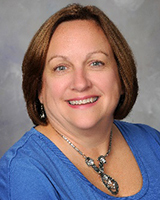 Becky Allman has been Executive Administrator for the Tallmadge Chamber since Dec. 5, 2011. Born and raised in Tallmadge, she graduated from Tallmadge in 1977 and Baldwin Wallace College in 1981. Becky has strong ties to the community having held offices in the Tallmadge Athlethic booster club, working the school district for 12 years prior to the Chamber and is currently secretary of the Tallmadge Foundation.